As liturgists, we can sometimes fall into the sin of rubricism disguised as reverence. However, we cannot follow the Gospel by becoming legalists, nitpicking the rules and measuring piety by the number of rubrics followed. Rather, we only truly obey God’s law by following what God has written on our hearts. You cannot keep score with that kind of rulebook. We either choose to give our hearts to God or we don’t. In Good Friday’s passage from Hebrews, we see the cost of this kind of obedience. Like Christ, we will not be freed from experiencing our own loud cries and tears. Obedience to God does not immune us from the pain of sin. If it did, Jesus who was sinless would never have known sorrow at Lazarus’s tomb or anguish facing his own death. Nor does obedience give us an edge over the sinner. Rather it creates a new heart in us, one that has greater compassion and understands that we need one another in order to follow Christ more faithfully. This right relationship with God, others, and ourselves is possible only by Christ’s obedience and our willingness to join in his sacrifice for the sake of others. This post was first published on the planner page for the Fifth Sunday of Lent, Year B, in “GIA Quarterly: A Liturgical Music Journal,” Vol 29, No 1. 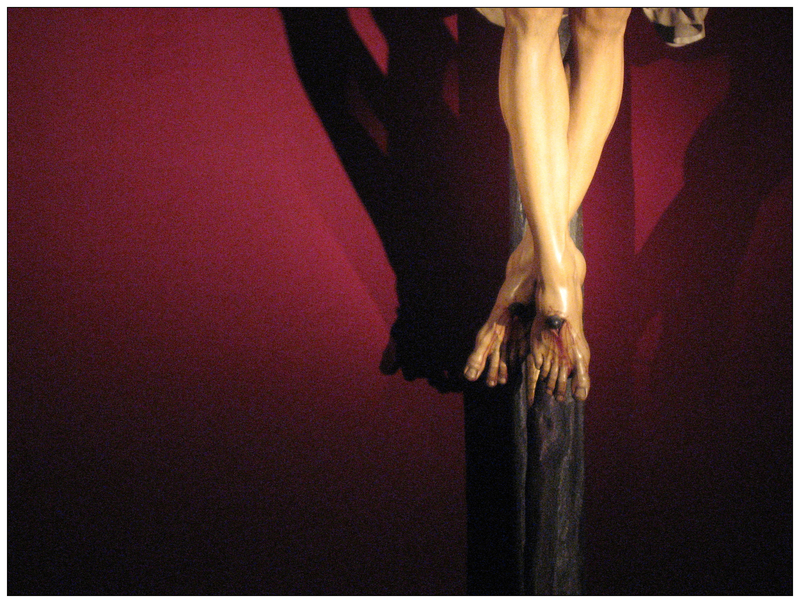 Image credit: Seville Spain Cathedral Crucifix, Ra McGuire, flickr, CC BY-NC-ND 2.0.